I love Springtime. All the spring flowers are in bloom, bumble bees start to buzz around and the sun starts to feel warm (oh how I love the sun). I think everybody seems more cheery when the sun shines. Another wonderful thing about this Springtime is our gorgeous second grandson has just been born and he is adorable. I love being a nanny, it's all the good stuff without too much of the worry. 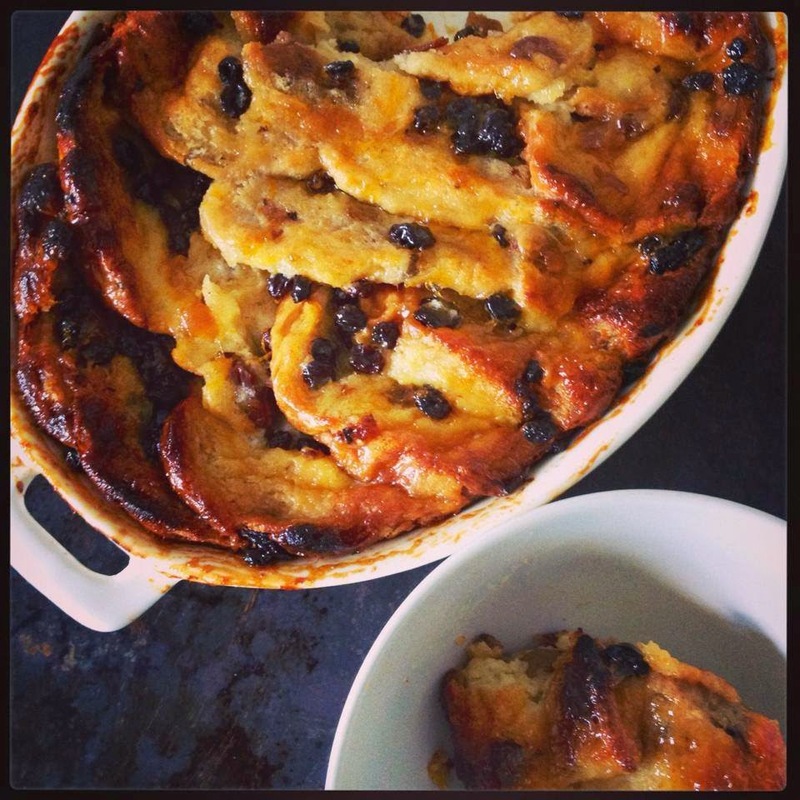 To make the Hot Cross Bread & Butter pudding, slice the hot cross buns across ways into 3 slices, spread each piece with butter and a dusting of sugar, now start to layer. Starting from the furthest side of the dish place 3 pieces of bun standing up against the far side, add some dried fruits or chocolate chips, repeat the process until all of the bun pieces are in the dish. In a jug mix together 3 eggs, milk, double cream and the zest of an orange. Pour over the bun pieces, cover with foil and leave to rest in the fridge for at least an hour. Bake in a preheated oven @180 with the foil for 30 minutes. Heat a little apricot jam and sieve to remove any lumps, brush over the pudding, pop back into the oven uncovered for about 10-15mins. Leave to rest for 10 mins before serving. Serve with double cream and some warmed orange liquor.